Explore the amazing Jewish heritage of Budapest in an imposing and enlightening nutshell throughout this 2 hour long tour. To begin on a high note, you will head straight into the magnificent Dohány Street Synagogue, the center of the so-called neolog Jewish community and the largest synagogue in Europe. Once you’ve taken in the sacred ambience of the place and admired the magnitude of relics inside, the tour will continue to the next destination mere seconds from the synagogue. In the Jewish Museum you can get acquainted with the Hungarian Jewish culture and history through a unique collection of art pieces from Hungary and Eastern Europe. 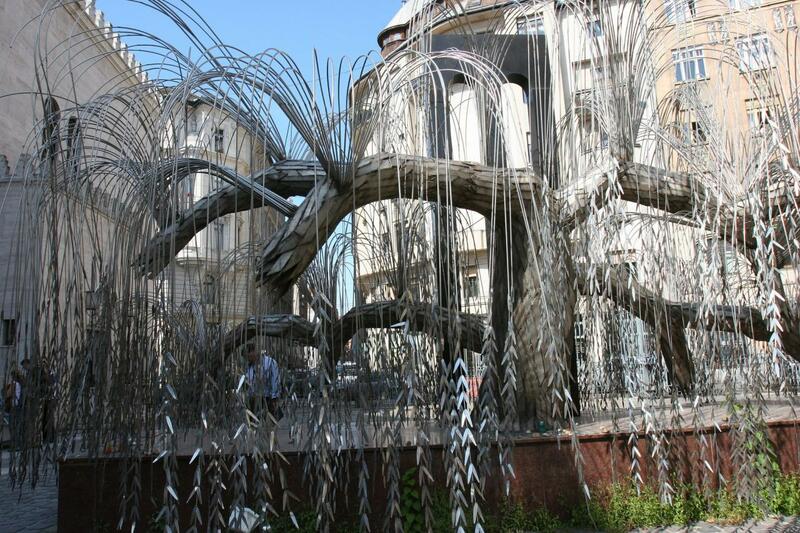 From the exhibition, the tour continues on the massive premises of the Synagogue complex towards its peculiar garden. We commemorate the victims of the holocaust by visiting the Martyrs’ Cemetery and the Raoul Wallenberg Memorial Garden that gives home to the touching monument, the Tree of Life. From the garden you will be taken to see the stunning Heroes’ Temple beside the Synagogue and as the conclusion of the tour, the Jewish Family Research Centre where torn apart lives are brought together again.